Apologies for the long wait. Let’s finally resume the series. I will cut to the chase – today we will be talking about side decking, for a Metalfoes deck. This will include your matchups, what cards should you expect to be sided against you, what cards you can side deck back and even cards that you can consider counter-siding. The bane of any pendulum’s deck existence. I lost count of the number of times I lost the dice roll, go second, open with a hand of pendulums, and then when my turn comes, Anti-Spell Fragrance is flipped and I struggled throughout that game. Usually it is an uphill battle that ends with a loss for me. But Anti-Spell Fragrance is bound to hurt your opponent one way or another. The only question is how much? Speaking from experience, I have seen Anti-Spell Fragrance working against their user. ABC decks have to wait more turns to get their field spell; set Terraforming, next turn Terraforming into Union Hangar, set Union Hanger. 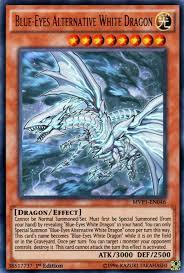 Blue-Eyes can’t access their Return of the Dragon Lords the turn they draw it, contributing to a weaker field. D/D/D decks have to abandon their pendulum scales, which they may have to occasionally rely on. But the argument is always that if a double-edged sword can outright kill another deck, completely shutting it down, but only makes the user bleed a little, it should be considered. The most unorthodox play style I witnessed first hand was a Qli player main decking Anti-Spell Fragrance. He would place Qliphort Scout on the scale, then it was Skill Drain turbo from there on. Enough about examples, my point is: Be prepared for this threat, it may even be sitting in your opponent’s main deck. And even if not, if can be a standard Side Deck option. So for Game 2 and 3 onwards, do not neglect spell/trap destruction when you are siding. Anti-Spell Fragrance is really a good floodgate to activate against any deck outside of trap-heavy decks. Game 2 onwards, they side it out for better options like Shadow-Imprisoning Mirror against non-pendulum matchups. There are plenty of outs to this poison. Standard spell/trap removal option will work, with the most common being Mystical Space Typhoon. As mentioned before, it is more preferable that Twin Twisters for a Metalfoes deck as Metalfoes don’t really enjoy the idea of a discard cost. Furthermore Mystical Spcace Typhoon can function as a combo piece. There are other methods around it. Interesting options I would propose are Trap Eater and Jinzo. A single monster for tribute summon is doable in Metalfoes, especially when you have a free summon monster like Blackwing – Gofu the Vague Shadow. As for Trap Eater, it is superior to Mystical Space Typhoon as if you draw it after Anti-Spell Fragrance is active, you don’t have to wait for a turn to get rid of it. 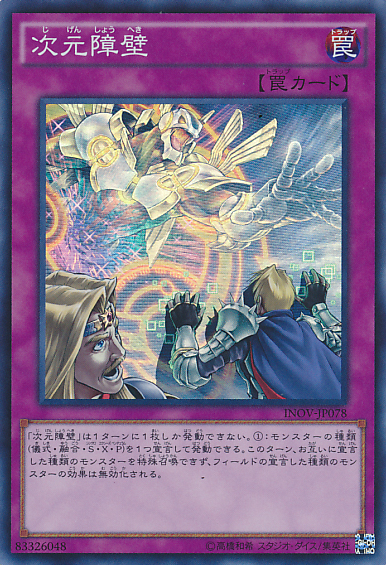 Currently the most likely deck to abuse this trap, judging from OCG’s historical timeline, is ABC decks. 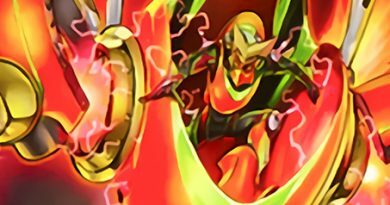 Good luck trying to wait for a turn against that deck to use your spells – the set spells will be banished by ABC-Dragon Buster. Speaking of which, banishing is also another problem that many Metalfoes players face. Cosmic Cyclone being the most common, and also most problematic. It can get rid of Metalfoes Combination without setting off Metalfoes Counter. And with Fullmetalfoes Fusion yet to be released, one banish targeted on Metalfoes Fusion and the deck is locked out from fusion summoning. Blue-Eyes rely on their Dragon Spirit of White to banish Metalfoes’ backrows, and other miscellaneous threats that fall into this category includes Masked Hero Dark Law and Macro Cosmos. Thankfully the latter is limited in the TCG and is less of a problem. Without the theme’s spells/traps, it will be hard for the deck to function and move towards the win condition of setting up the board. So in an event that your Metalfoes Combination is being targeted for a banish, don’t hesitate to save your skin by destroying it personally with your own Mystical Space Typhoon. Happened to me once, but the decision to proceed with that disadvantageous play saved me in that game. These two cards possess the ability to flip your opponent’s monsters face down. Even in the fact of Number 38, you will be able to bait out the negation effect of Number 38, allowing you to use spells as you please. Flipping down Spirit Dragon will also allow you to pendulum summon more than one monster and you are free to activate your graveyard effects without any worry of a response by Spirit Dragon. You are of course, free to rely on other forms of removal such as a Kaiju engine where Interrupted Kaiju Slumber is available, or Dark Hole, which is semi-limited in the TCG and Raigeki is even available at one. However, cards like Book of Eclipse also serve as a non-targeting and non-destruction answer to plenty of cards that may are untargetable or in situations whereby destruction isn’t the preferred method of removal. Combined with Book of Eclipse, Dark Hole can put an end of Azure-Eyes Silver Dragon even when its effect has resolved and is lingering. It is also a staple side deck, allowing you to have an answer towards Masked Hero Dark Law, which also presents a threat to Metalfoes. But the floodgate monsters isn’t the end of your worries. Blue-Eyes enjoy the side deck card known as Magical Spring. Against Metalfoes, Blue-Eyes players stand to gain hand advantage from this card’s effect. 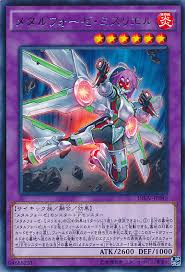 The discard can be abused by dropping Fabled Catsith and destroying a monster on you field. Worse of all, the ‘protection’ ability prevents you from destroying your scales – not only can it put you in an awkward position with unmatched scales, but it forces you to destroy monsters if you are desperate to search-and-set your spells/traps. 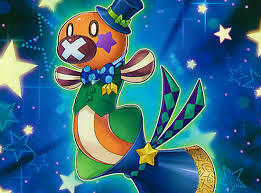 I have yet to deliver the most troubling set of news – Magical Spring doesn’t prevent your scales from being targeted and banished, the course of action Blue-Eyes takes towards backrow removal, so Dragon Spirit of White is free to do as it pleases, and your banish pile stacks with monsters as your resources are further depleted. Gawd I hate a Blue-Eyes matchup. 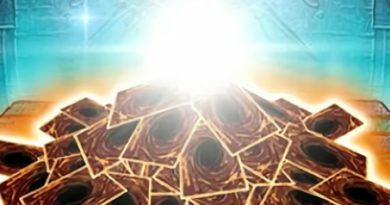 Perhaps the most troubling and useful card on the topic of side decking for a Metalfoes deck, and something which I feel this article would be incomplete without, is Dimensional Boundary. On one hand, Dimensional Boundary can help you answer plenty of threats. At most it takes up three of your side deck slots, should you choose to play a complete playset, allowing you to have more space to accommodate to other decks, which may be called for in diverse formats. It can also keep some rogue deck in checks, ensuring that you have at least something decent to side against Evilswarms or Infernoids. On the other, Dimensional Boundary would slaughter Metalfoes. I can’t count the number of times I destroy my scales, after scales, and sometimes even my fusion monsters (Go Metalfoes Orichalc, be destroyed to get rid of that backrow and pave my road to an OTK), only for them to chain Dimensional Boundary declaring [Pendulums]. And I believe I mentioned this before, Dimensional Boundary is hard to prevent and upon resolution, there is no way to stop it. You are stuck without the ability to pendulum summon, after you have dedicated your entire resource in hand and perhaps field to set out your spells and traps. But the order of placing is important. So instead of blindly or maybe a bit too eagerly performing your moves, place a set of Scale1 and Scale8 first. Ask for a response from your opponent. If none, continue. 8 destroys 1; then you place a new Scale1 to replace it. Now that you have one card in your extra deck face up, maybe your opponent will reconsider dropping that Maxx “C” in his hand or activating that Boundary hidden among his backrow. The idea is that you replace your destroyed Scale1 with 1s, and your Scale8 with 8s, so that you maintain a pair of usable and complete scales. You should do this whenever possible. Not only can it bait out threats, it can also prevent you from dying to a Magical Spring tragedy, which could compromise your game state and your access to pendulum summoning is revoked due to your two Scale1s. Well, I am not saying that this strategy will prevent you from facing Dimensional Boundary, and it sure as hell won’t stop you from a Solemn Strike negating your summon. But this could force your opponent to respond preemptively, placing yourself in a state whereby you still have resources at hand for you to steer towards game plan B – fusion summoning. Early stage of the turn, you might want to prioritize summoning out Jinzo since it will prevent Boundary from activating. You can always reserve that Royal Decree you have face down ready to chain to it. Metalfoes in the OCG have Fullmetalfoes Alkahest to respond to your opponent’s actions during their turn, and although limited, Majespecter Unicorn – Kirin helps in hampering your opponent’s progress to their objective. Hence, Solemn Strikes are usually omitted during the deck building process. For players playing Cyber-Stein in the OCG, this is even more so since the hefty 5000LP would only leave you enough leeway for a single Strike’s lifepoints payment cost. And that is already leaving you dangling at 1500LP if you end up paying both. So Strikes are usually one or none in non-Guiding Ariadne builds of Metalfoes. 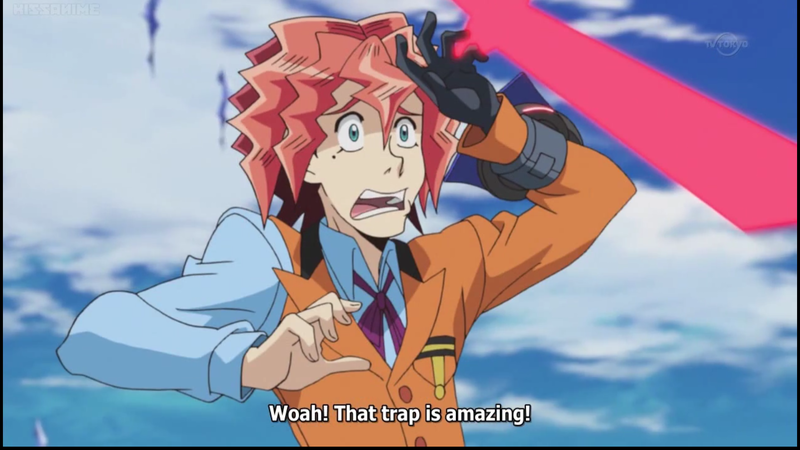 Personally I play only three traps – Metalfoes Counter, Metalfoes Combination and Vanity’s Emptiness. Yes Counter is good, but we can recycle it using Metalfoes Mythriel, a Metalfoes fusion monster available in the OCG. Also, with my side deck comprising of cards like Imperial Iron Wall, I find myself seldom using Counter’s banish-for-retrieval effect. And yes, a single Metalfoes Counter as opposed to two is a very common practice in the OCG. But yes by all means, play two copies of Metalfoes Counter if that is your preference. Graveyard effects aren’t hindered by Jinzo or Royal Decree. What I am trying to say is: A general Metalfoes deck run lesser traps. Hence you can choose to input trap-negation as part of your side deck. Guiding Ariadne builds should of course stay away from this method. But once can always consider the cost-free and searchable by Ariadne’s Wiretap or Solemn Scolding. The idea is to summon it, seal away a set card and then destroy it with a Metalfoes scale since it has already served its purpose. Can also be used as a scale for pendulum summoning. Probably a more effective strategy in the OCG as there are lesser backrows to worry about. The existence of Harpie’s Feather Duster usually deter players from setting all their traps at one go. Nevertheless, still worth consideration. 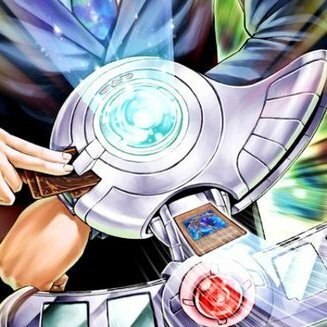 In another example, should you be facing a disadvantageous situation whereby you have to fetch that Metalfoes Fusion from your deck to turn the tables, or when Magical Spring’s protection effect is in play, it might not be such a bad idea to summon out that Maxx “C” in your hand, then proceed to use your pendulum scales to destroy it. Surely it is better than ending your turn, and then dying to the incoming onslaught the next turn, where even draws from Maxx “C” won’t help you. Ya, duh~ A summon and destruction by the scales is a useful and standard play, but you will be surprised how many neglect this option as they are too fixated on destroying the scales instead. The Intro to Metalfoes series has one more article left. I decided to include one for the newer support cards, namely Fullmetalfoes Alkahest and Metalfoes Mythriel. These two fusion monsters give the pure fusion build of Metalfoes a chance to be functional due to their fantastic effects and I feel that it is time to properly introduce them to the spotlight. So for those that are fans of fusion summoning, stay tuned for the next article – Intro to Metalfoes – Part 8. Ken Sir of Dueling "C". Along with a group of friends, I founded the blog [Dueling "C"]. I am from Singapore, and have been playing competitively in the OCG since 2012, although I started playing the game casually since 2007. Fav decks: Junk Doppel, Chaos Dragons. 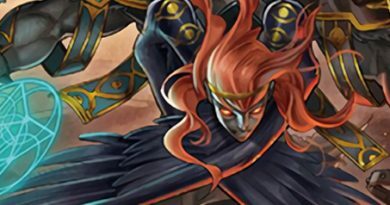 A history of meta decks , this time around discussing the successor to the Hand Control decks, Chaos.